I read this article and found it very interesting, thought it might be something for you. 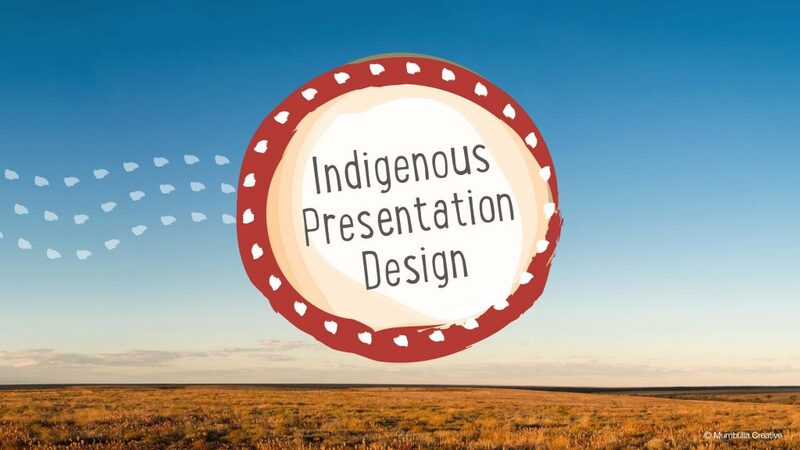 The article is called Beautiful and Startling Indigenous Presentation Design and is located at https://www.presentation-guru.com/indigenous-presentation-design/. We recently detailed the history of visual communications through the years, but where does the inspiration for visuals come from? In this article, Charmaine details how one’s history and surroundings can be the perfect recipe for creativity. 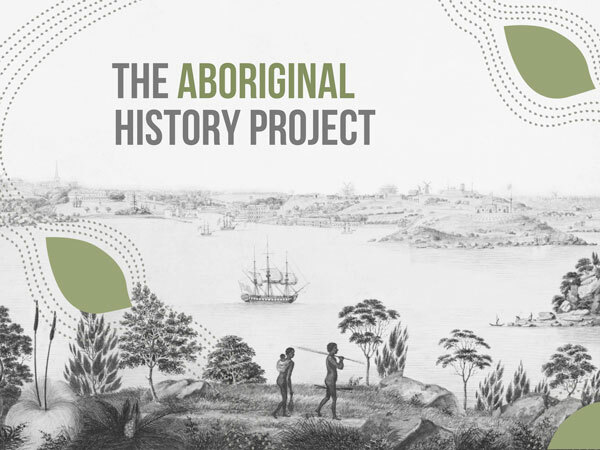 Australia is home to one of the oldest continuing cultures in the world and, as an Indigenous creative agency, we’re passionate when we can work on projects that allow us to connect with our history and culture. When designing presentations it’s important to tailor your slides to your content and audience. 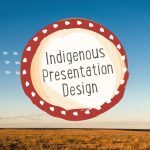 So what are the principles that guide Indigenous presentation design? Colour choice is an important decision in any presentation design, but even more so when working on Indigenous-specific projects. A traditional Indigenous colour palette is derived from the natural resources in the environment and includes rich reds and yellows from grinding rock powder with water, black from mixing charcoal with blood and white from the minerals in pipe clay. We not only draw inspiration from these natural earth pigments, but also from the rich tapestry of colours that make up the Australian landscape. This includes the blue waters of the coast, the muted greens of eucalyptus trees and the vibrant purple-pinks of lilly pilly fruits. Symbols and icons are used throughout Indigenous Australia to represent people, places and objects. Many traditional symbols have been adapted widely in contemporary Aboriginal art and resonate strongly with an Aboriginal audience. In our presentations we often feature concentric circles and undulating lines in favour of geometric shapes and sharp edges. These non-linear shapes are reminiscent of the forms found in the natural environment and evocative of traditional Aboriginal visual communication. 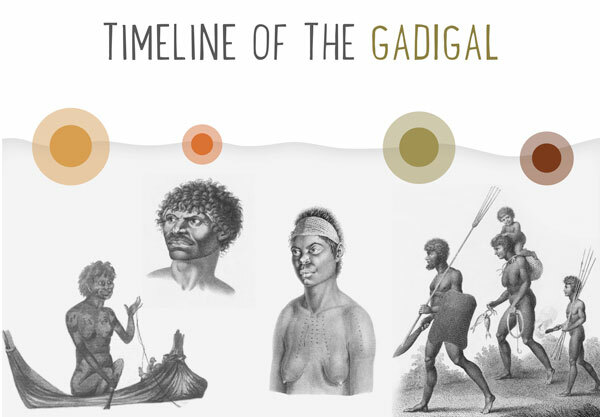 Large high-resolution images are an important feature of any presentation, however there are particular considerations when selecting images for Indigenous presentation content. As there is limited Australian Indigenous stock photography available, we take our own photographs or work with Indigenous photographers and models that are familiar with any cultural sensitivities that may arise. When choosing photographs, sensitivity is required to ensure that the images do not depict stereotypes, are appropriate to the target audience and reflective of a region. It is generally not acceptable to feature photographs of a person that is recently deceased unless consent has been obtained from the family. As a result, when sourcing photographs it is sometimes preferable to feature abstract images such as hands, silhouettes, locations and objects. Many visitors to Australia have the misconception that Aboriginal people are one large homogeneous group, however we are a very diverse peoples with many languages, cultures and art forms. 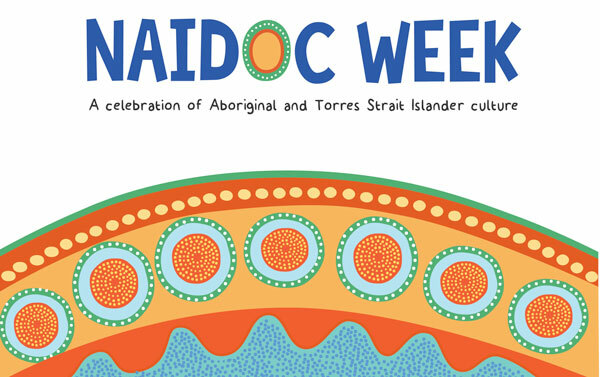 There is an exciting array of contemporary indigenous art styles that inspire and fuel our creativity as we tell stories and present information through an audio-visual medium. Charmaine Mumbulla is a lawyer, educator and presentation designer based in Sydney, Australia. She is a descendant of the Kaurna/Narungga people and runs a small creative agency called Mumbulla Creative. Charmaine is the author of a presentation design blog called Make Great.